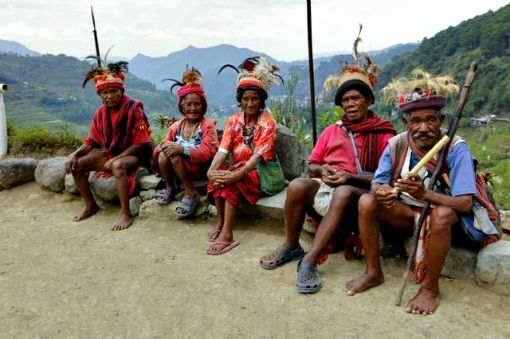 An indigenous practice to honor and give respect to a departed family member of the Isneg tribe in Apayao has been the key in preserving its natural resources, making this little known province the new home of the Philippines largest and most powerful eagle in the world. For centuries, the ‘Lapat’ which means “prohibited” or “off-limits” is a customary belief of the Isnegs where they set aside a specific area as sacred. This public declaration usually happens after the death of its owner or occupant, making the area off-limits to the public, including immediate family members who will declare the area as ‘Lapat’. Once declared as ‘Lapat’, nobody can enter the designated area or property—be it a portion of a house, a river, a mountain or a forest where the deceased frequently stay when he/she was still alive. Whoever violates, with or without knowledge about it, is subjected to appropriate penalty or charges. “Trespassers face severe penalties, including getting cursed by the spirit of the dead. He or she will be subjected to ‘awat’, the Isneg’s tradition of punishing trespassers by inviting them to a dialogue with the elders and making them pay for the damages. They will be fined by butchering any four-legged animal or give monetary fees which suffices the demands of the bereaved family,” said Allan Gobrin, a Grade VI teacher based in Mataguisi Elementary School and former employee of the Apayao Tourism Office-Research Division who earlier conducted a research about indigenous practices. Of the seven towns in Apayao, Pudtol, Calanasan and Kabugao are mostly inhabited by Isnegs. Most of the upland villages here practice the Lapat system which reinforces the government’s environment protection and management program. For the Isnegs, it is their way of mourning and honoring the spirit of the dead. According to Gobrin, the declaration of the Lapat area marks the beginning of mourning period among the family’s immediate members. After the end of mourning, which is usually celebrated on the first death anniversary of a love one, all the Isnegs community gather together to perform “Ukas-Say-am”, a cultural tradition where they perform a traditional dance ritual to the beat of gongs, butcher any four-legged animal and invite all people to eat, drink and celebrate with them. “All family members, relatives, friends, and other people are not excuse to observe Lapat. The penalty depends on the level of and variety of demands stated in the agreement or local ordinance,” Gobrin added. Meanwhile, immediate family members of the deceased person will observe or look after the area which was declared a ‘Lapat’.